Add chopped onion and garlic and saute till transparent. Add ginger and green chillies and saute well. Reduce the flame and add coriander powder, chilli powder, pepper powder and turmeric powder and stir well. Add chopped tomato, kudampuli , one cup of water , one cup coconut milk and salt and boil till the tomatoes are cooked. 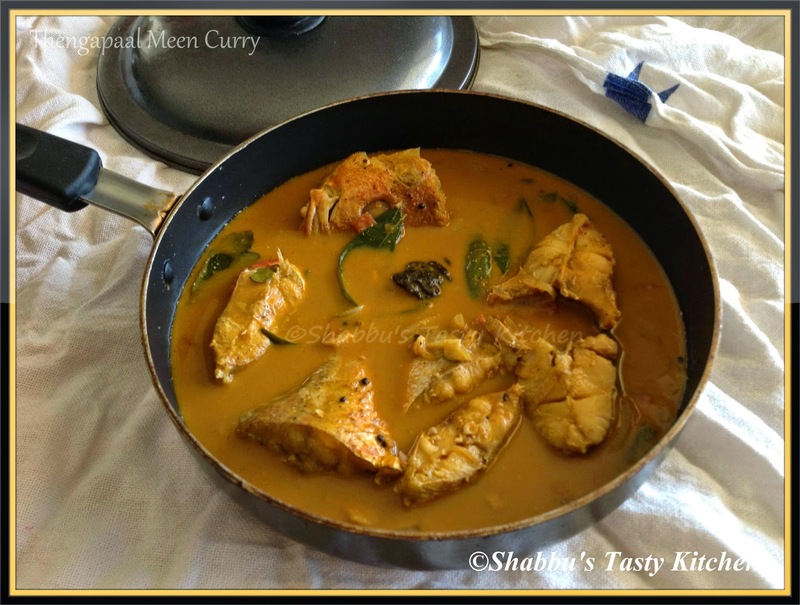 Add the cleaned fish pieces and the remaining 1 cup of coconut milk and cook on low flame till done and the gravy becomes thick.